Newcomers Robinson Cano and Edwin Diaz with Mets general manager, Brodie Van Wagenen, and principal owner, Jeff Wilpon. 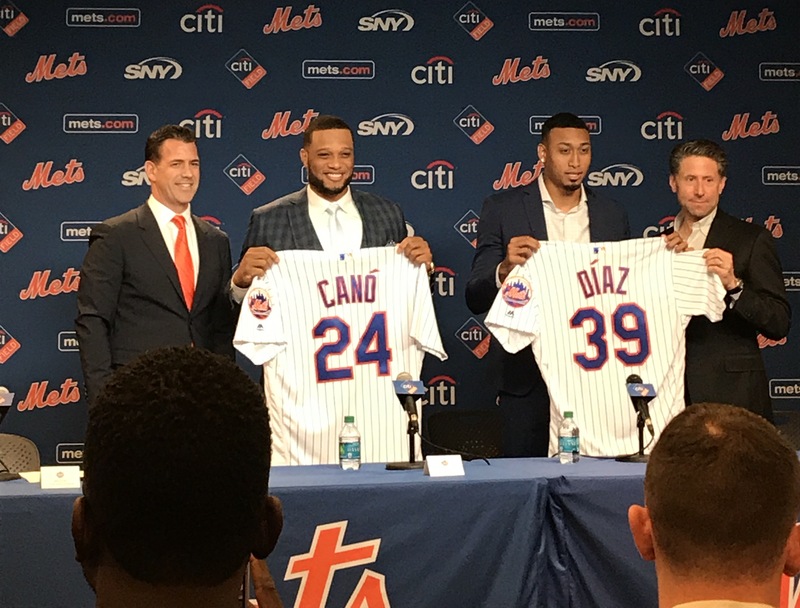 WFUV Sport's Charlie Maisano talks about the Mets' big acquistion of 2B Robinson Cano and closer Edwin Diaz. General manager Brodie Van Wagenen has a new vision for the team and they will definitley build on this trade and move forward in the offseason.